Lo – that’s what’s really frustrating.. Lo – she makes more money in two episodes of her show than I would make My whole year..
Dina – what do I do during that? Ricky – the veto ceremony .. Lolo will get up there and she will say I’m using or not using.. Dina – she’s keeping the veto ..obviously. So then I get that but what do I do Tuesday? Kandi – we don’t do the vote until Wednesday. Dina – oh so I’ve got to wait!? Kandi – everyone leaves the same day. Dina – so I don’t have to play the other games though right?! So I don’t have to do the thing tomorrow right?! 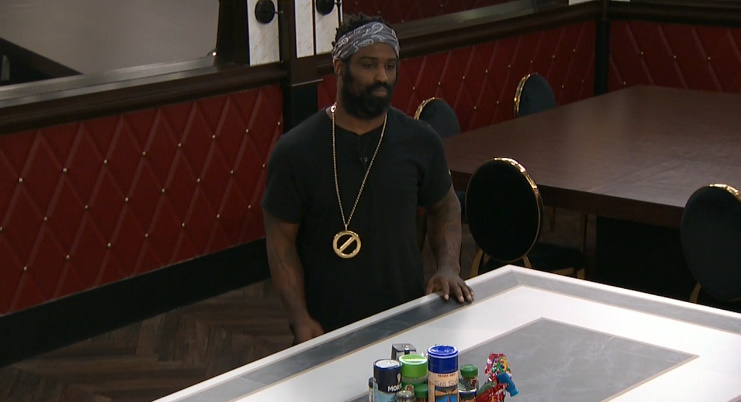 Ricky – the HOH? Dina – no, yeah! 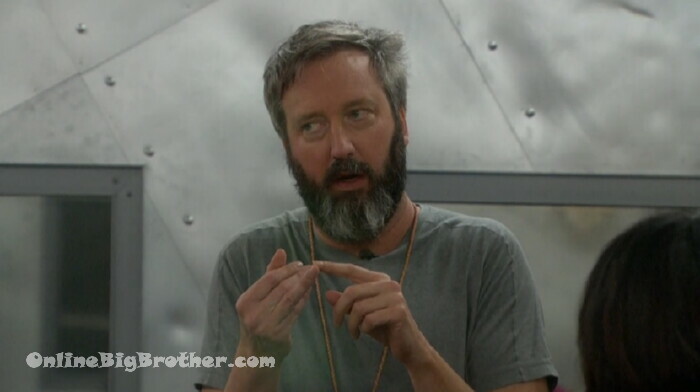 Ricky – tomorrow is the veto ceremony. Dina – oh! So I still have to do that? Ricky – do what? You just have to sit here.. that’s all you have to do. 7:46pm Bedroom. Tamar talking to the cameras. Tamar – this is like enough of the cameras stuff today. This is too, too much. Big Brother – the bedroom lights must remain on during the day. Tamar – I don’t know who asked about the bedroom lights. I just said the cameras stuff. Its just too much today. Too much. Everything is not a damn television show. I’m in the reality business too .. its just too much sometimes. 9:30pm Bedroom. Ricky and Tamar. 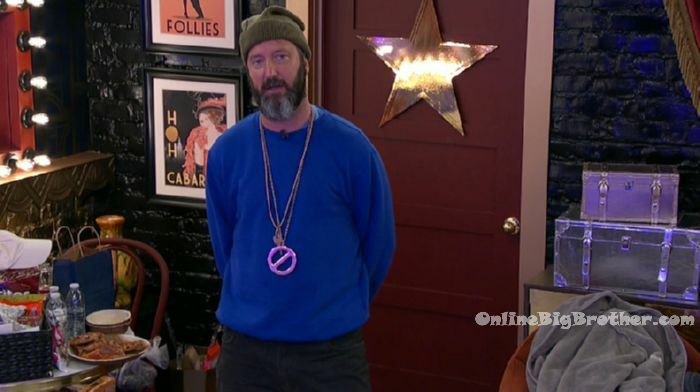 Ricky – if you won HOH would you put up Dina and Tom? Kandi and Tom. Tamar pauses for a long time. Tamae – I don’t know who. 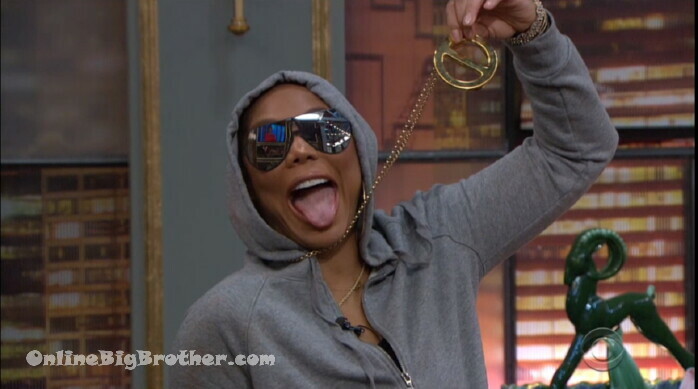 She won that damn veto… when it mattered. Ricky – she did. Tamar – well they voted his a$$ out.. to be honest about it. I’m going to keep going but I can’t risk us fighting. Ricky – I say if they’re going to figure it out, then let them figure it out. Do you think whatever they figure out we can get Kandi and Dina on board? Tamar – not Kandi. Tamar goes to get Dina. 9:25pm Bedroom. Kandi and Dina. Kandi – girl.. when you were asleep earlier, all hell broke loose. Dina – what the hell happened?! I could have slept right through till tomorrow morning. I got scared like what’s happening? Where the hell am I. Kandi – na… when I was up stairs playing pool with Tom.. you know how you said he light weight threatens you? Dina – it wasn’t really light weight .. he was like I’ll be really angry. And Ricky will come and play for me. And he was like you know Ricky will come to my side. 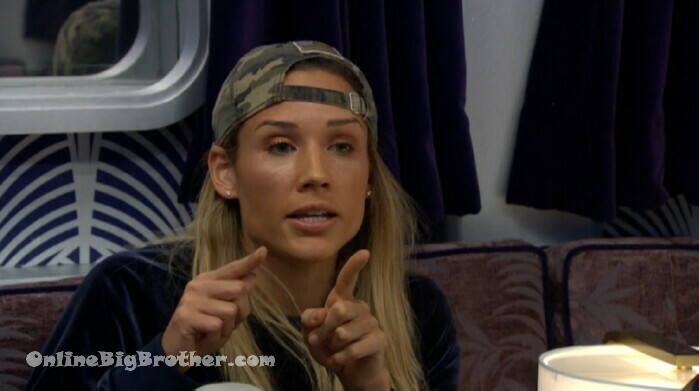 Big Brother Spoilers – The Veto will be played today. Ricky and Natalie are on the block. LOLO, Natalie and Ricky are not taking being broken up well..
LOLO wasn’t picked for the Power of Veto. Everyone else was..
8:15pm Lounge room. Tom talking to the cameras. Tom – Weirdest but possibly the funniest thing I have ever been through in my life.. this whole thing. I’ve got three world class athletes out there in the kitchen angry and not talking to me because I want to win also.. UMMM Okay!? .. I’m head of household because I keep winning all these competitions. I put a couple of them on the block finally and they’re taking a big cry baby fit. Give me a break guys! Its a game! I don’t know if I really care if I win or lose, I just want to have some fun here.